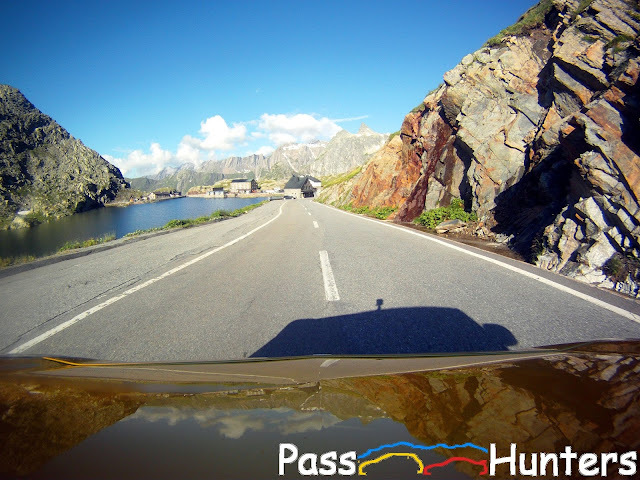 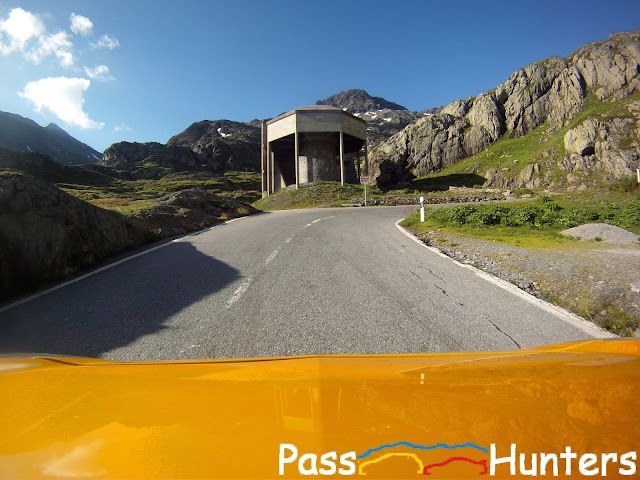 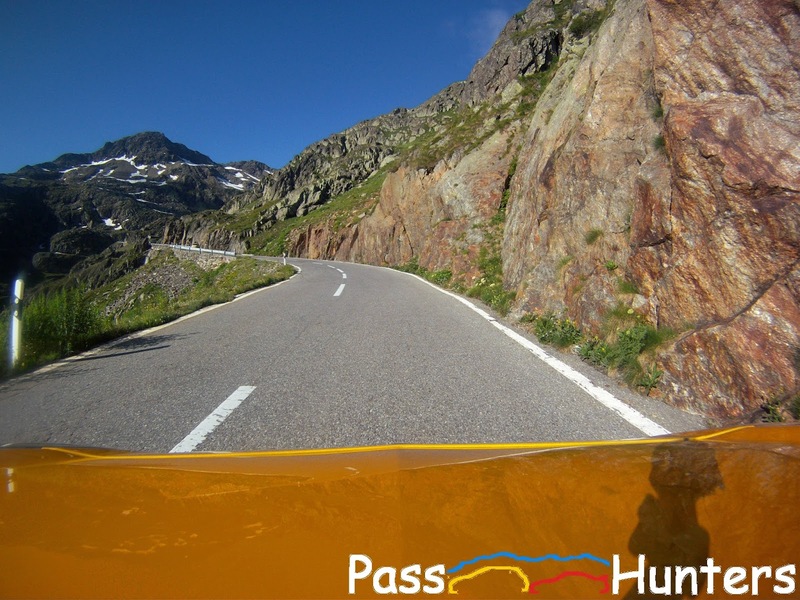 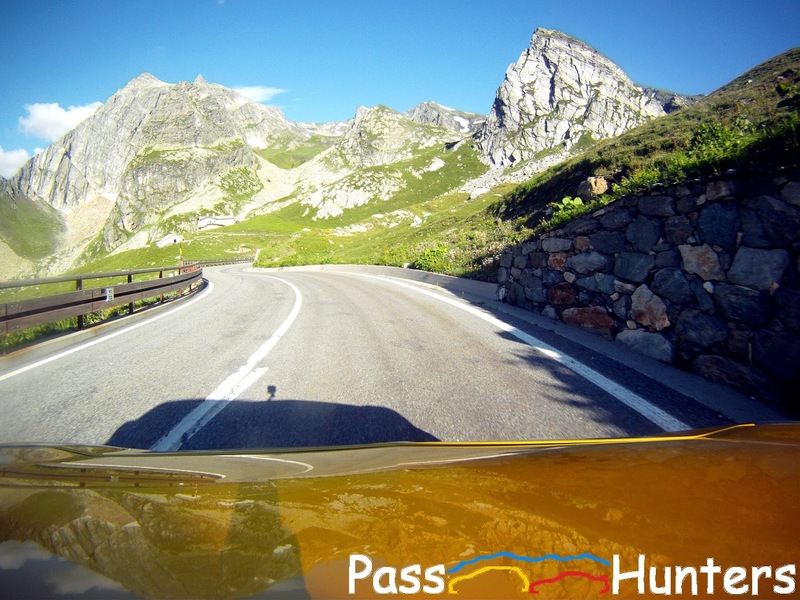 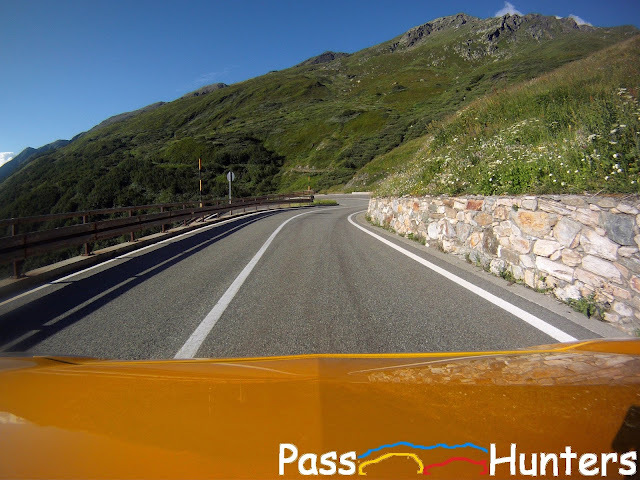 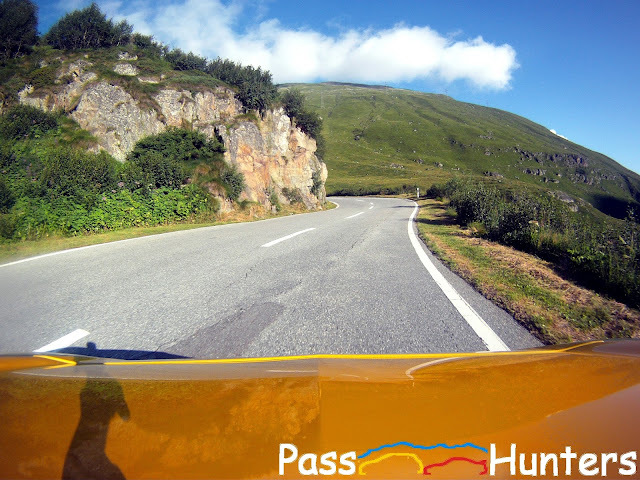 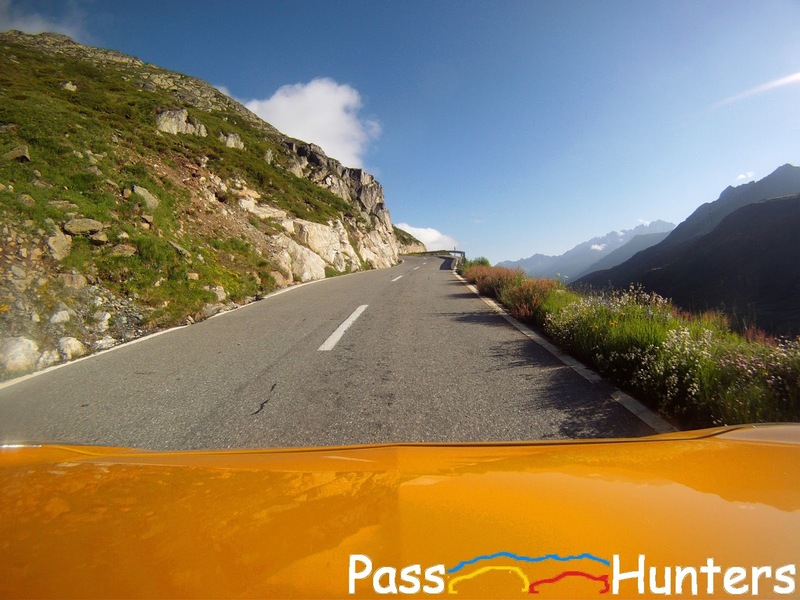 The Grand Saint-Bernard (2,469 m / 8,100 ft) renowned for the scenery, the hospice and the dogs, is the third highest road pass in Switzerland. 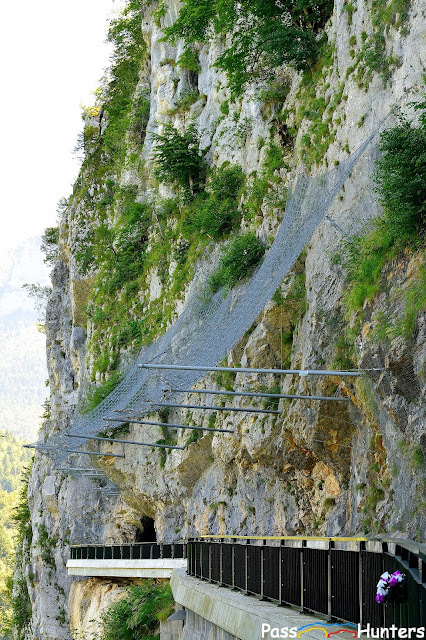 It links the Valais region in Switzerland to the Aosta region in Italy. 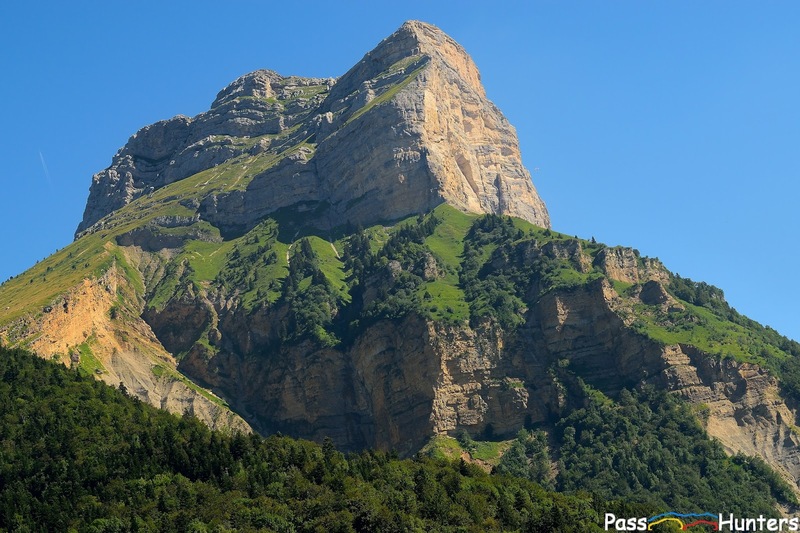 From Orsières the ascension is pretty short, but beautiful. 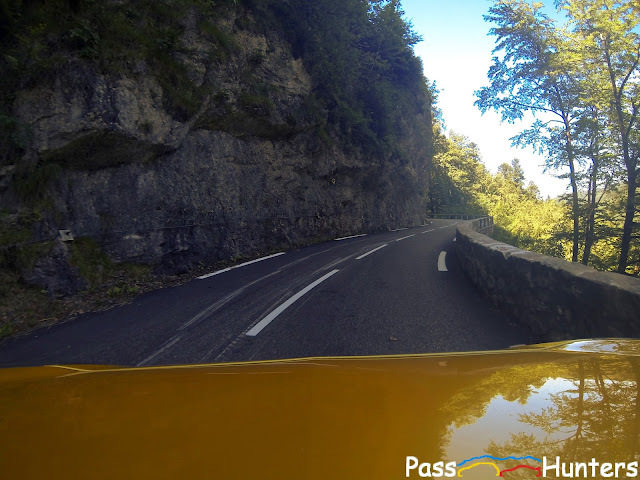 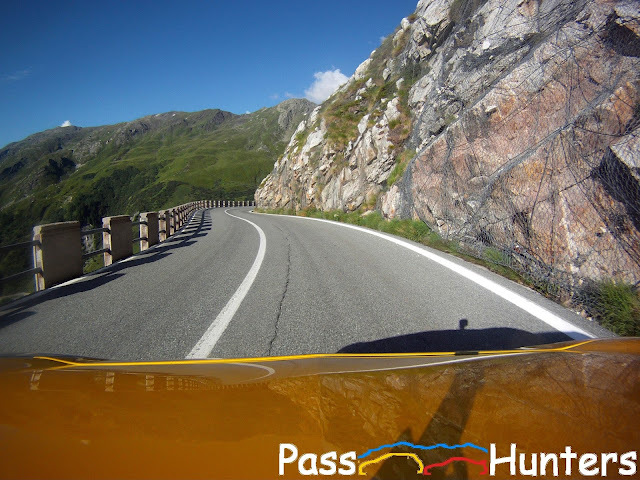 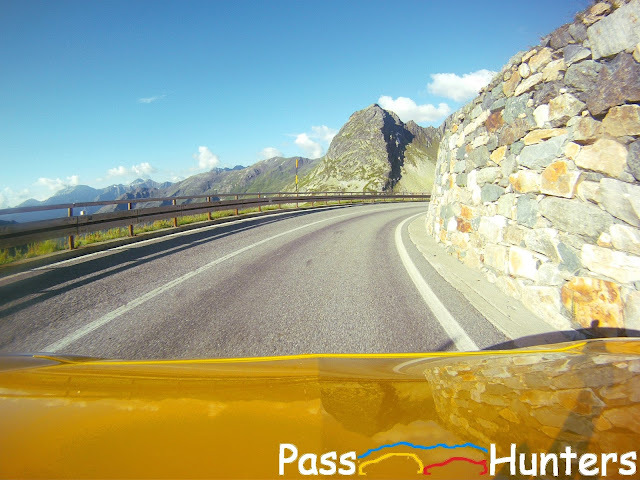 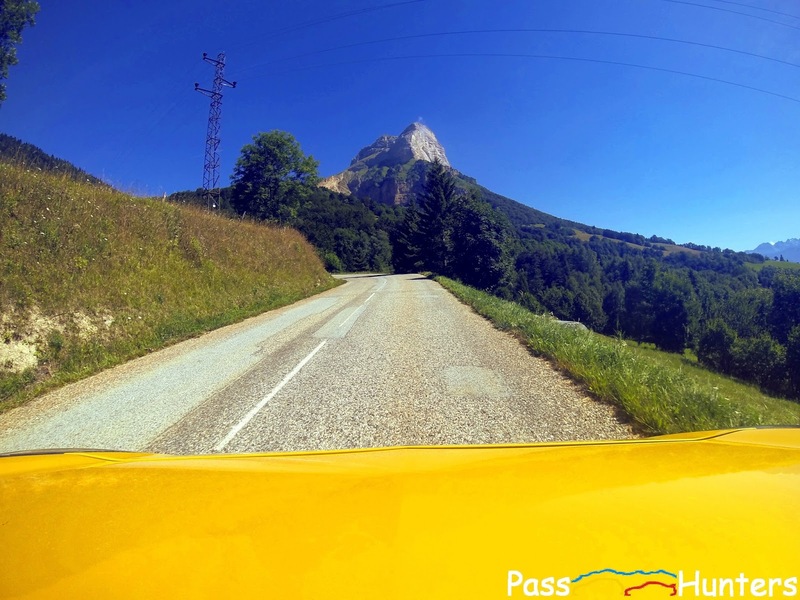 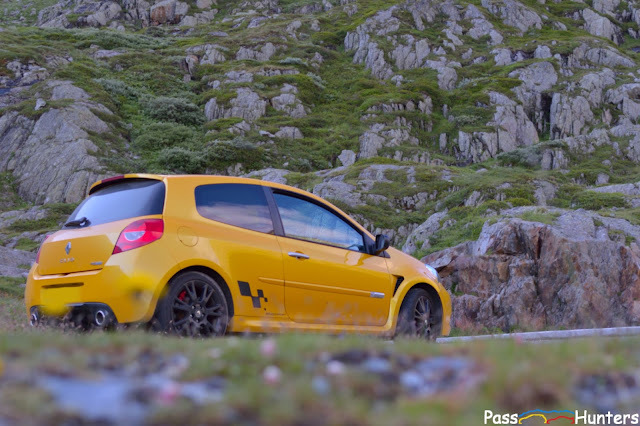 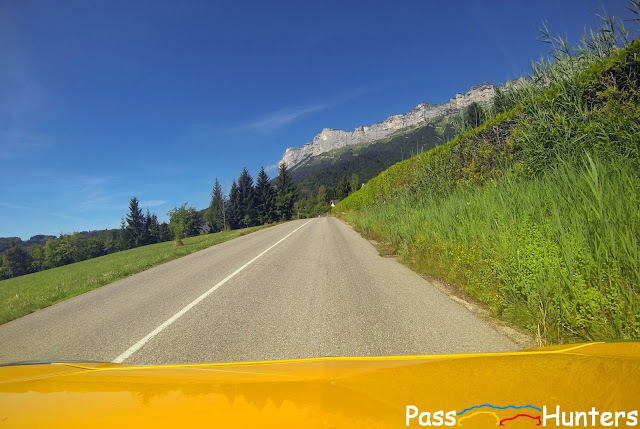 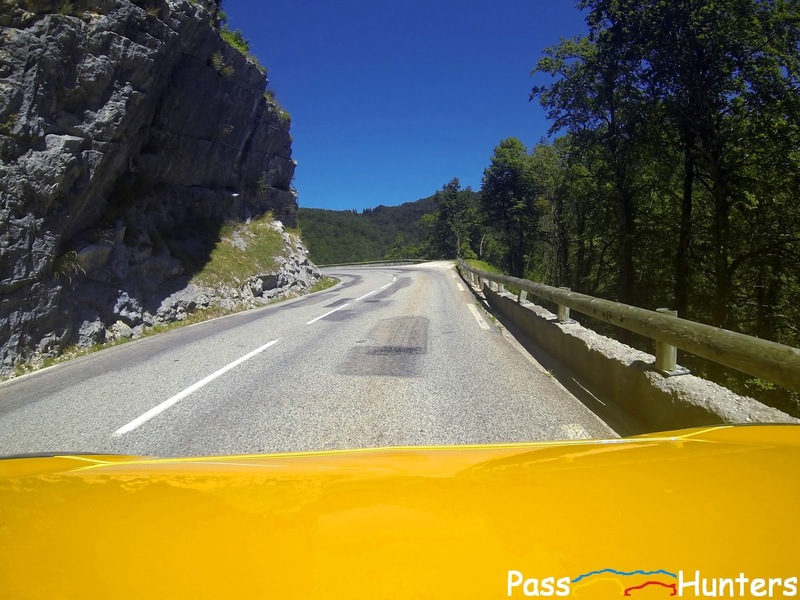 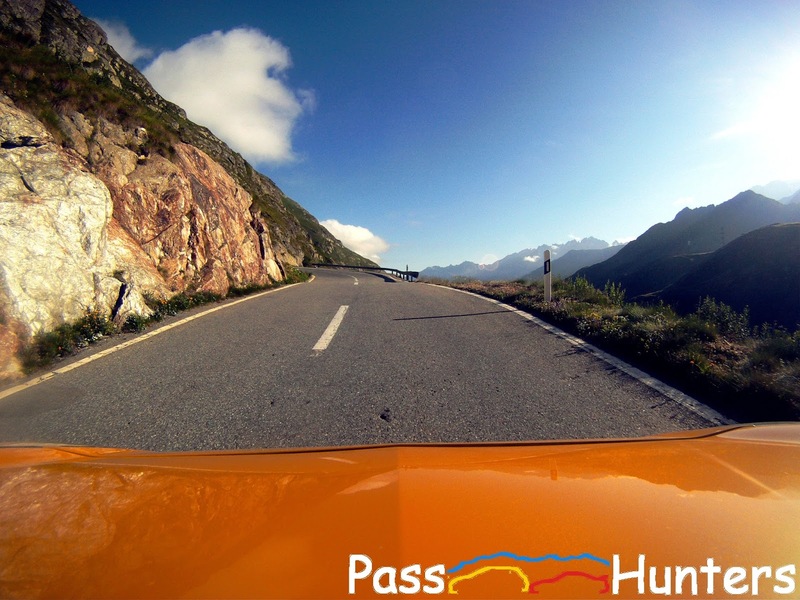 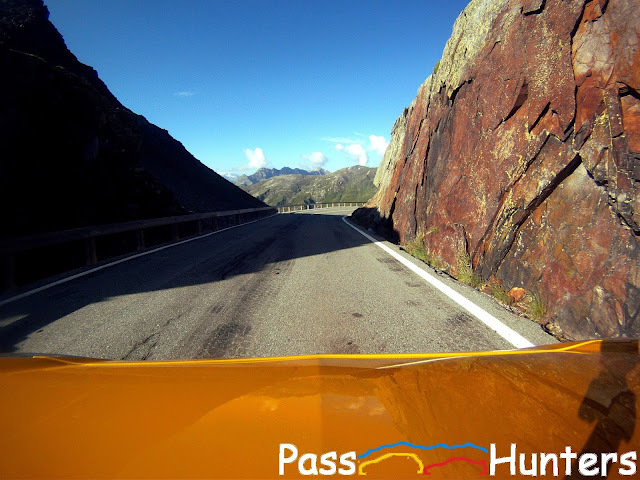 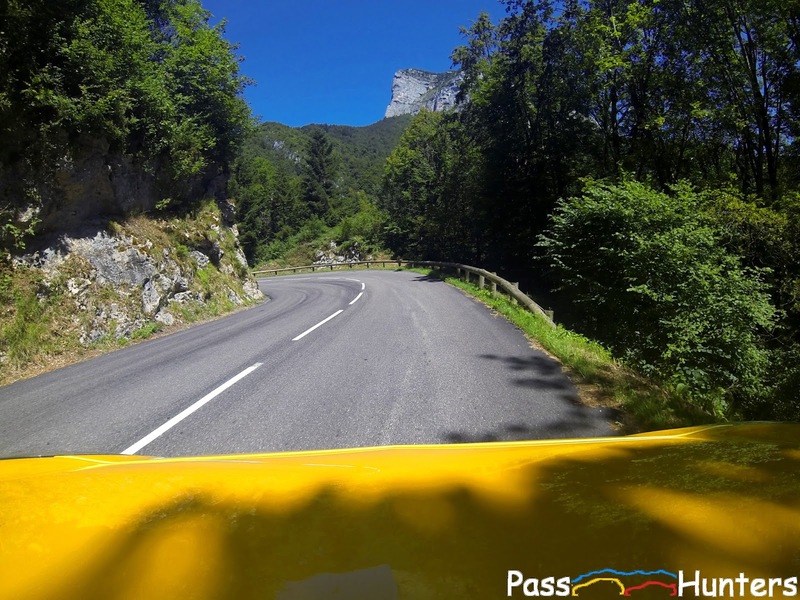 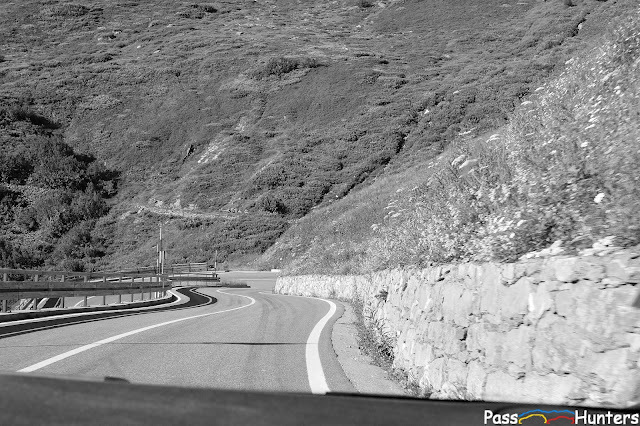 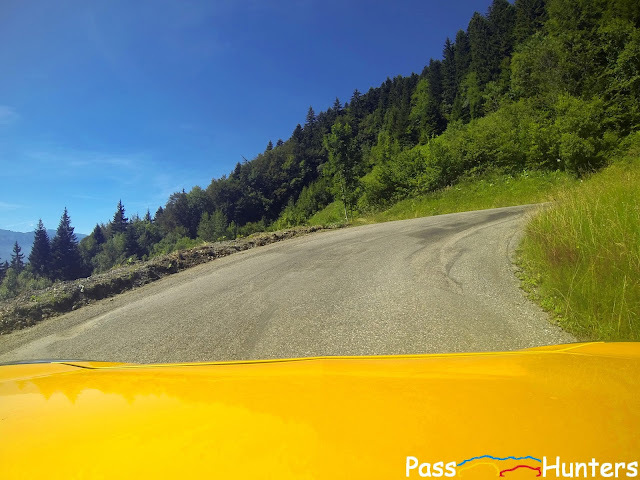 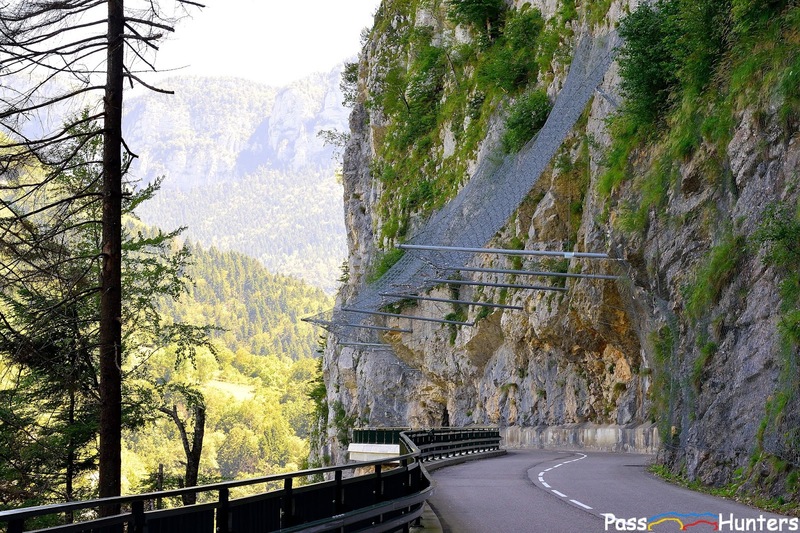 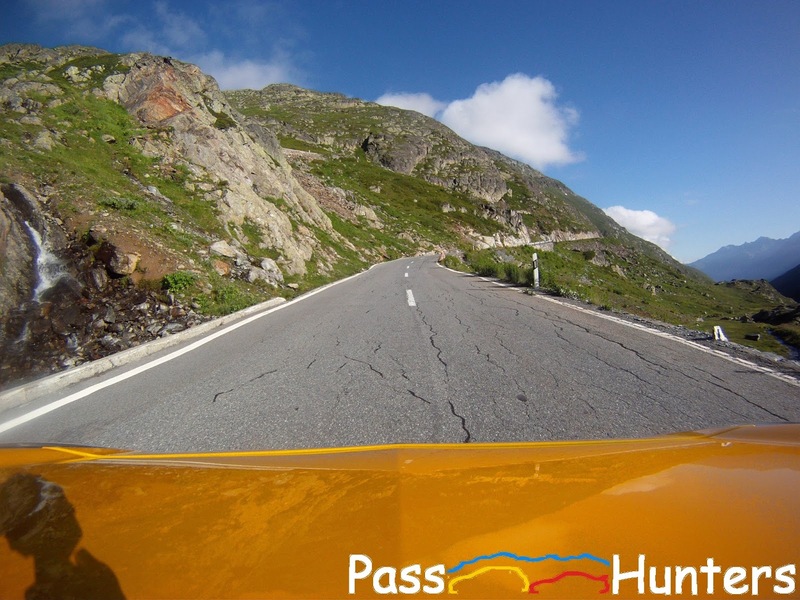 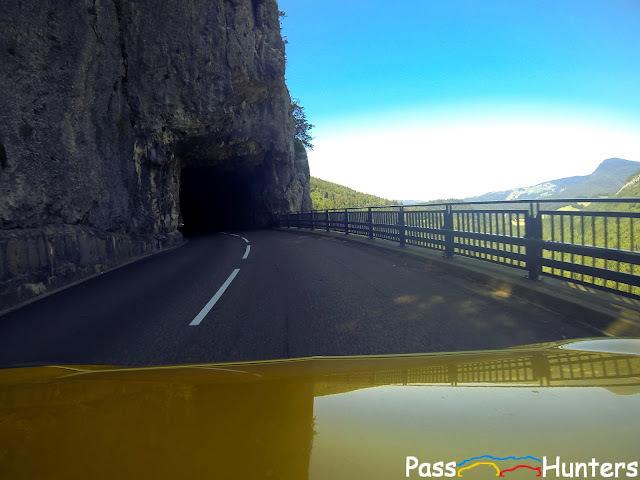 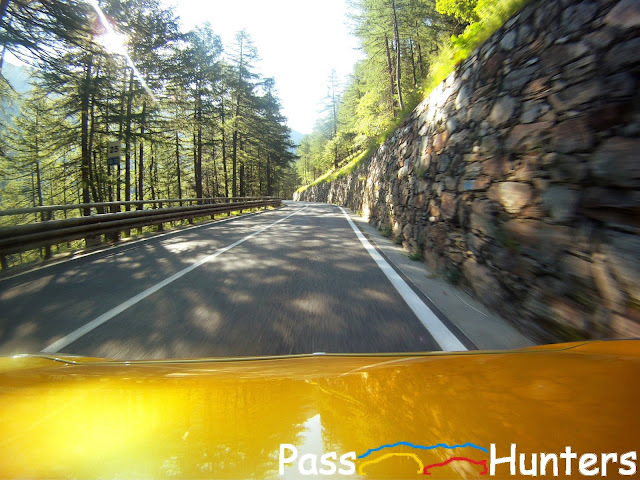 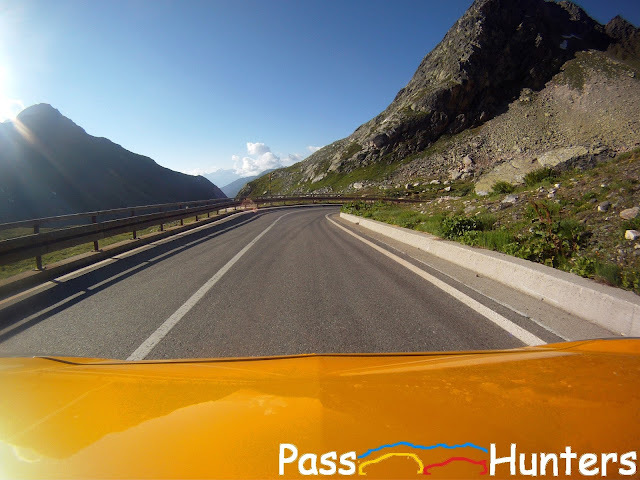 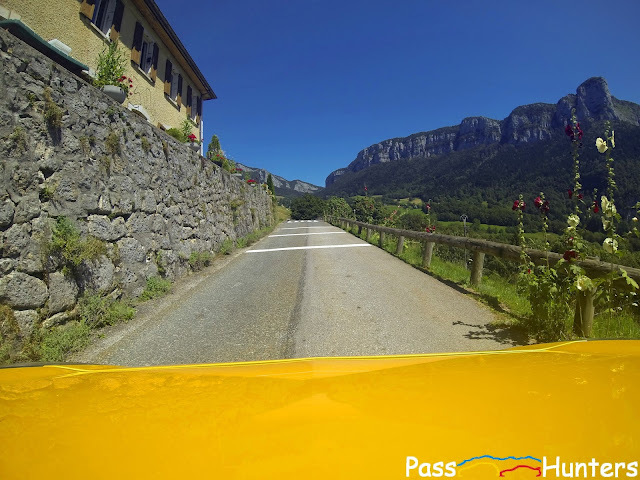 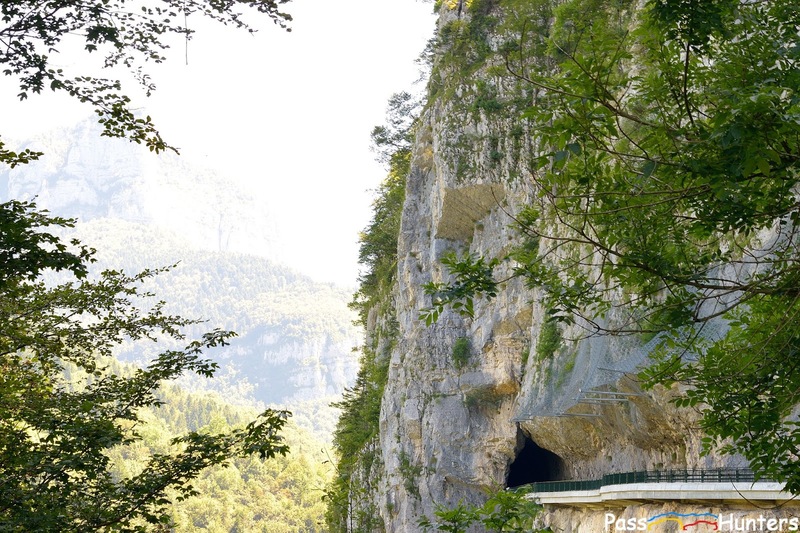 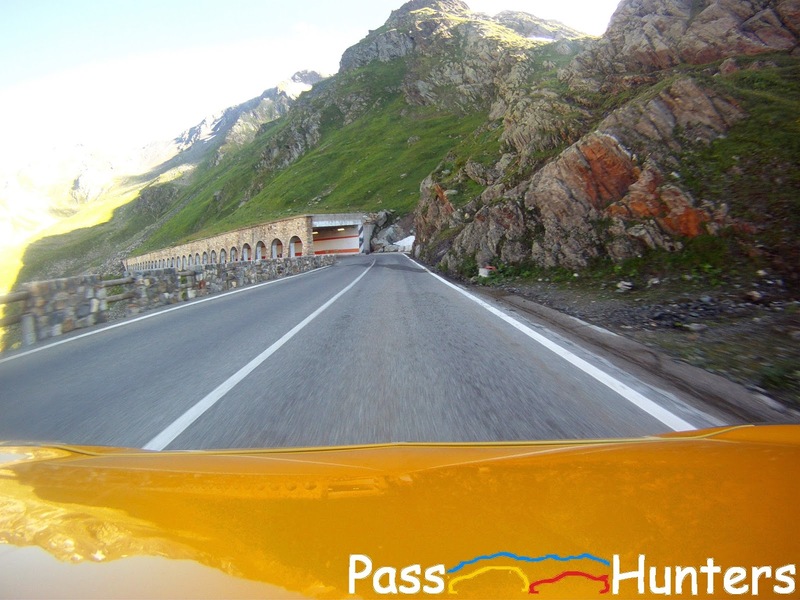 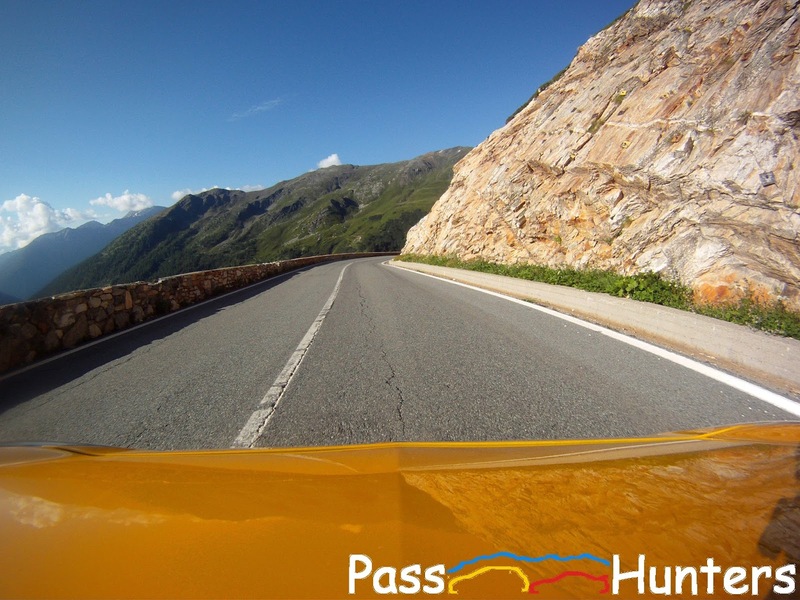 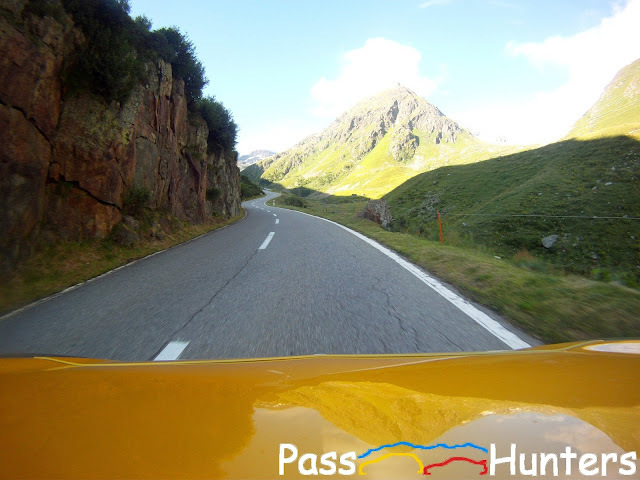 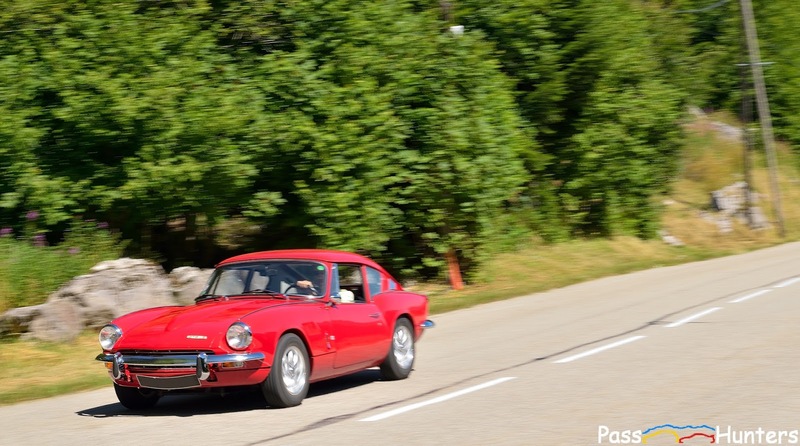 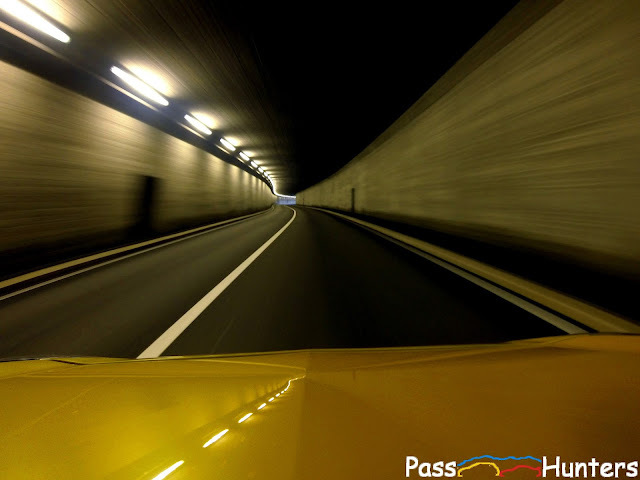 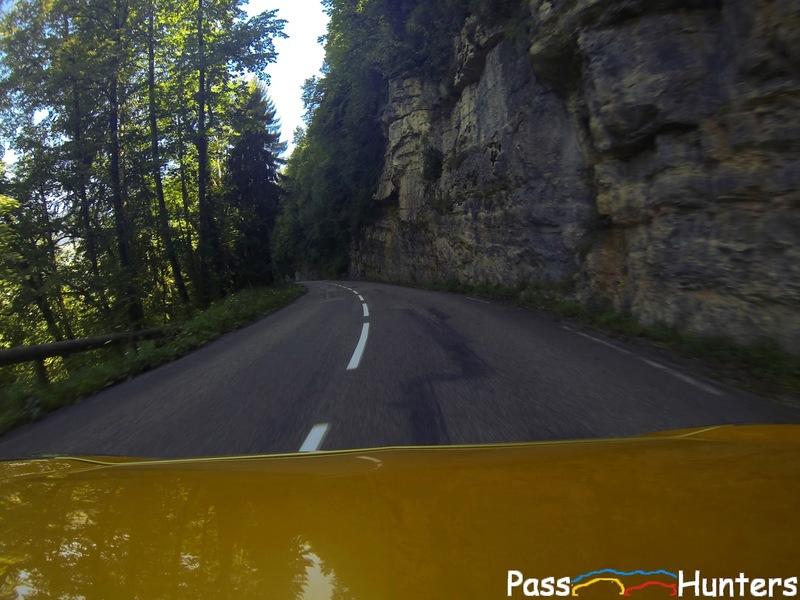 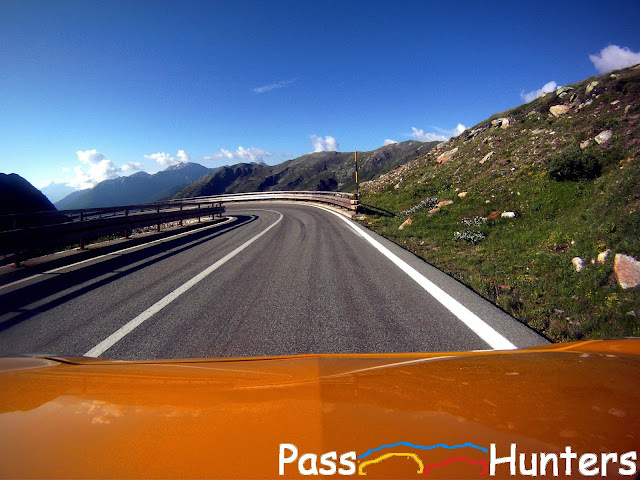 Narrow with a few hairpins, the road isn't a road rage track to unleash your supercar, it's really a tourist path. The scenery is breathtaking with a lot of apparent rocks and lovely valleys. 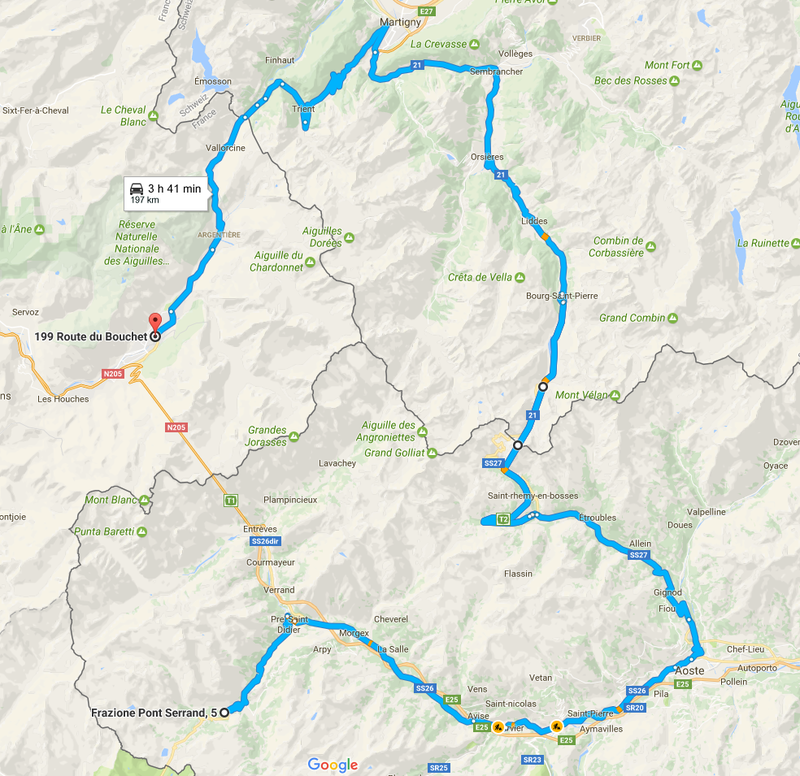 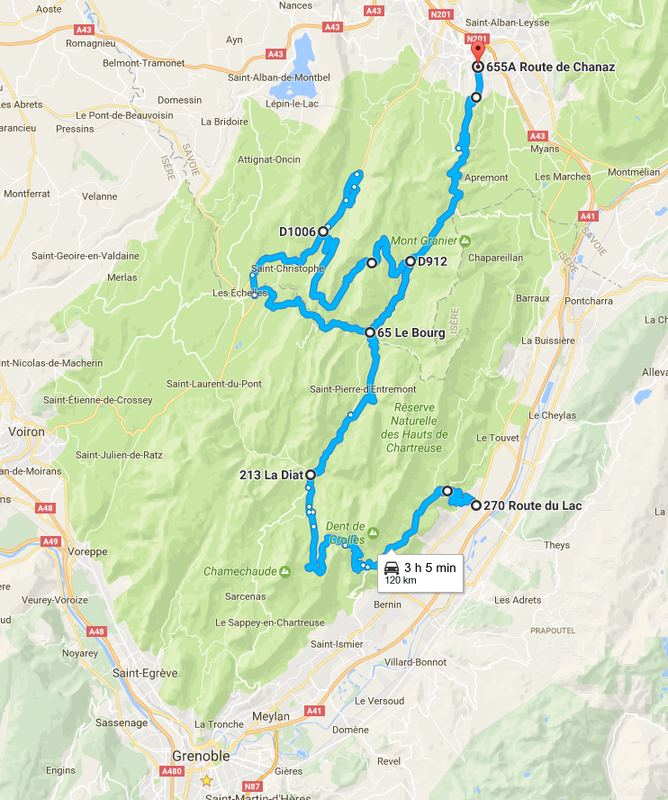 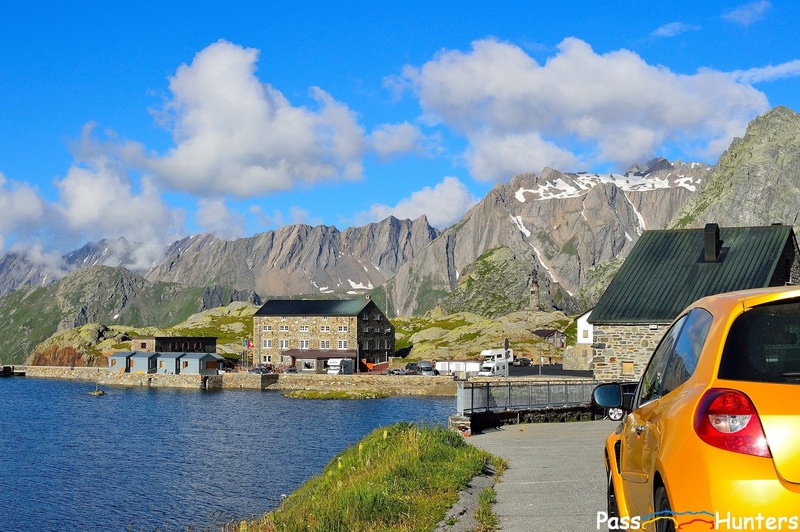 Road-Book (Chamonix -> Petit Saint-Bernard) . 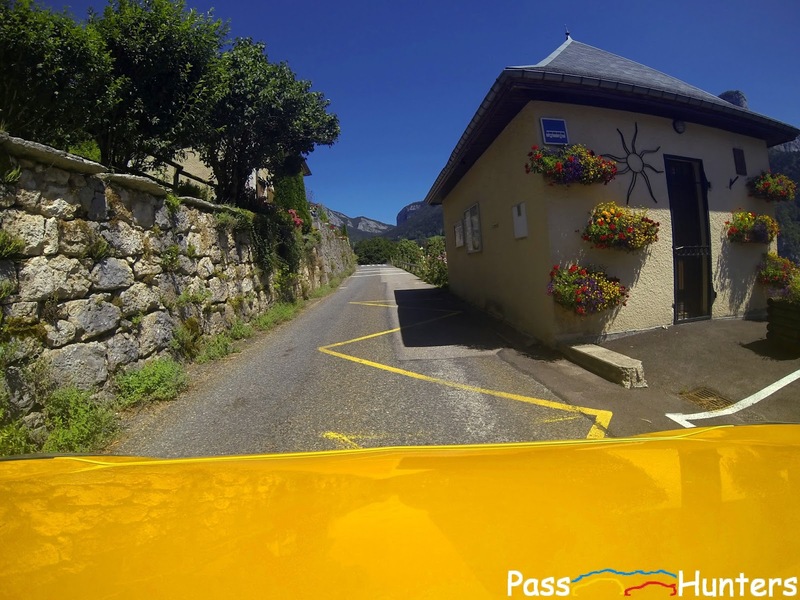 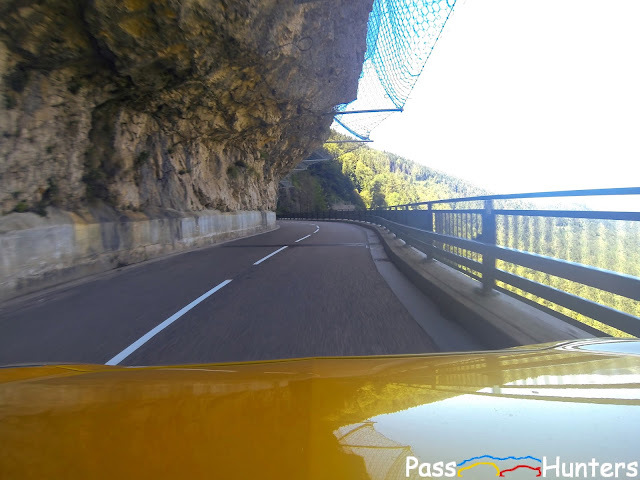 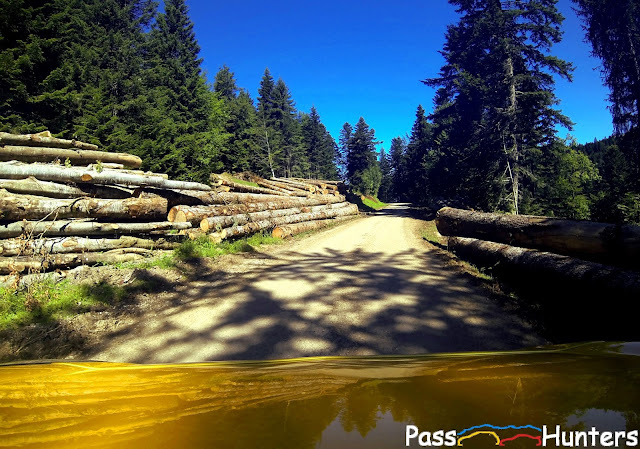 (Beware we were unable to force Gmaps through the pass without taking the tunnel / Attention il nous a été impossible de passer par le col sur Gmaps sans emprunter le tunnel). 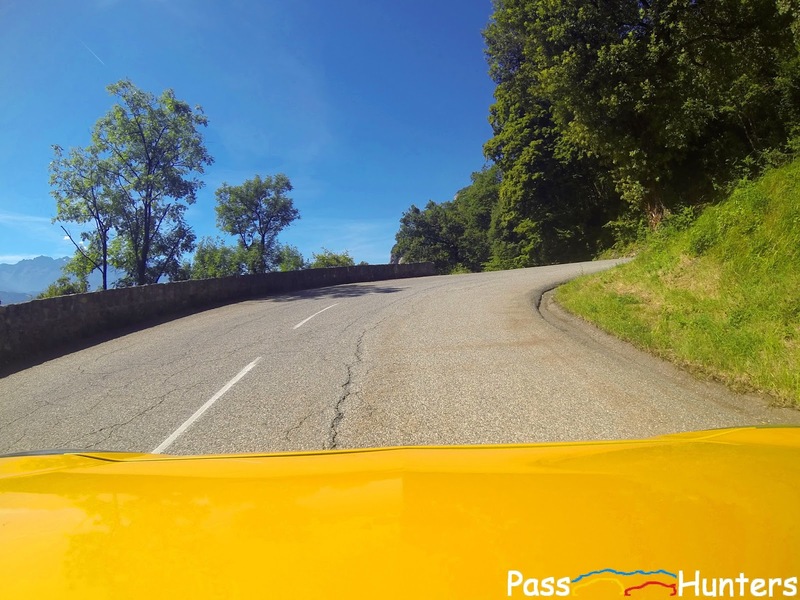 Once at the top you will discover the hospice, established around 1050 to provide safe passage to the travelers through brigandage and harsh weather. 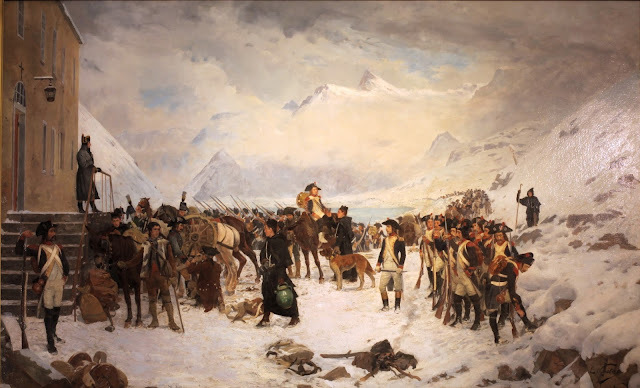 Napoleon Bonaparte used the pass during his campaign against the second coalition and got immortalized. 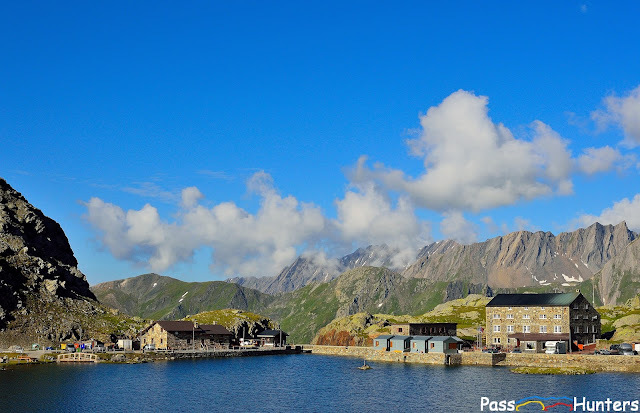 The lake and hospice are way smaller than expected, it's a tiny cozy refuge up there. Le Grand Saint-Bernard (2,469 m / 8,100 ft), réputé pour son paysage, son hospice et ses chiens, est le troisième plus haut col routier de Suisse. 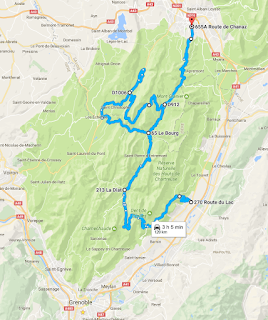 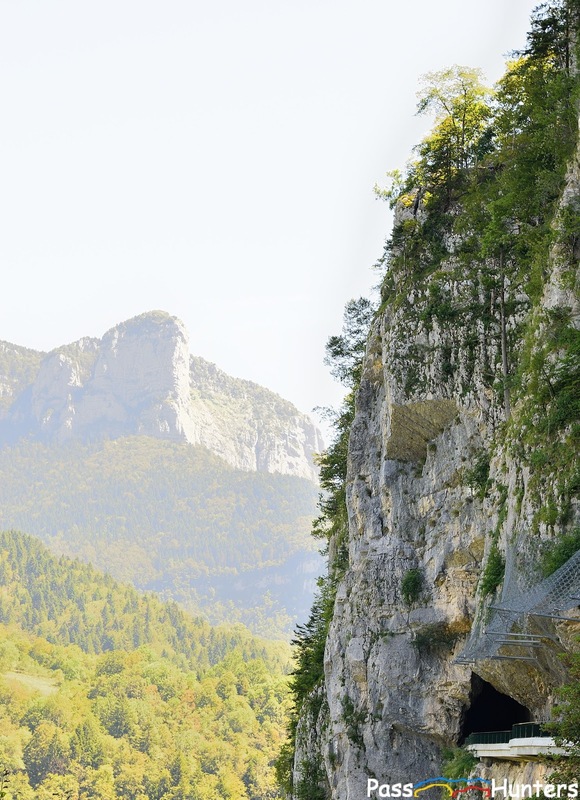 Le col relie la région du Valais en Suisse à celle d'Aoste en Italie. 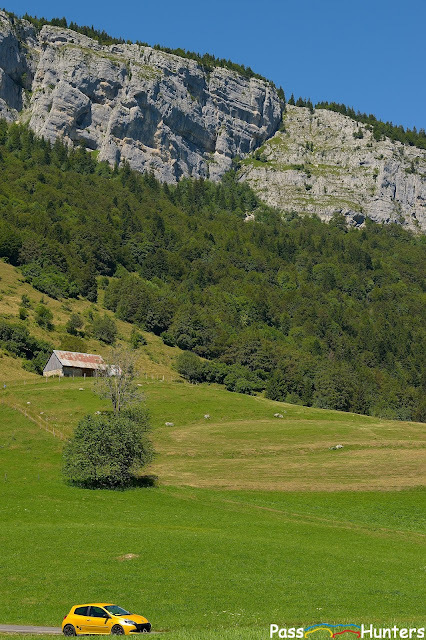 Au sommet vous découvrirez l'hospice, construit autour de 1050 pour porter assistance aux voyageurs face aux brigands et à la météo difficile. 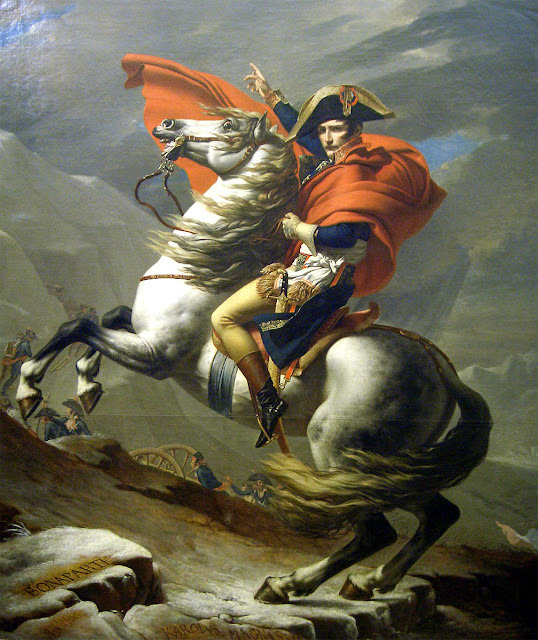 Napoléon est passé par le col lors de la campagne d'Italie contre la deuxième Coalition et cela a été immortalisé.